A second Lima bus strike scheduled today failed to significantly stop activity in the city despite a political row between the city government and Peru’s finance ministry. After a bus drivers’ strike paralyzed traffic in Lima’s Callao district last week, the second strike scheduled for greater Lima today was expected to carry even greater impact after the transport industry seized on Peru’s finance ministry’s voiding the contracts for two key routes in the Blue Corridor bus system. However many of the bus companies which signaled they would observe the strike returned to their normal routes and traffic was only moderately affected. Numerous buses circled throughout central Lima and there was ample capacity on the Blue Corridor buses on Tacna-Garcilaso-Arequipa route just before the afternoon rush hour. Early this morning the strike appeared to be following the same pattern as last week’s with informal pickup trucks charging $3 for routes in Callao. 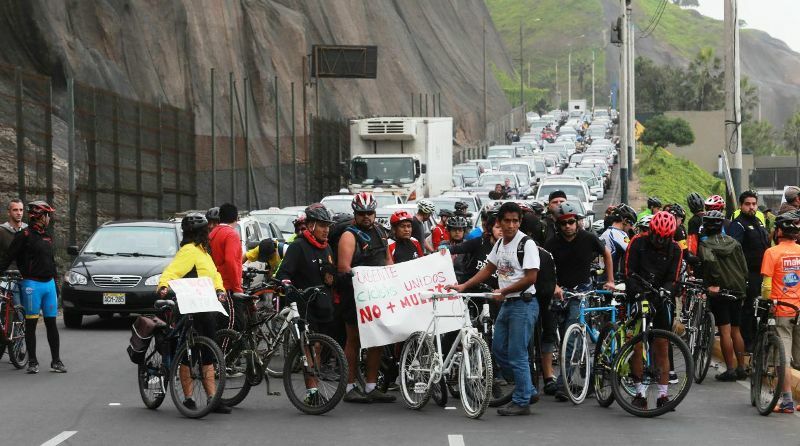 But as the day wore on and especially in greater Lima, the threat of standstill traffic disappeared. Downtown Lima saw scattered violence in what the press reported as “riots.” About 200 protesters marched from the Campo de Marte park toward Peru’s Congress, but police fired tear gas to prevent them from blocking Abancay avenue, a major thoroughfare and bus route connecting the San Juan Lurigancho district to greater Lima. One woman suffered a gash on her forehead from being hit with a tear gas canister. Another protester was assaulted a municipal transit worker who was preparing to be interviewed for America TV cameras on a bus route in San Juan de Lurigancho. The cameraman later captured his arrest and subsequent escape from a police vehicle. 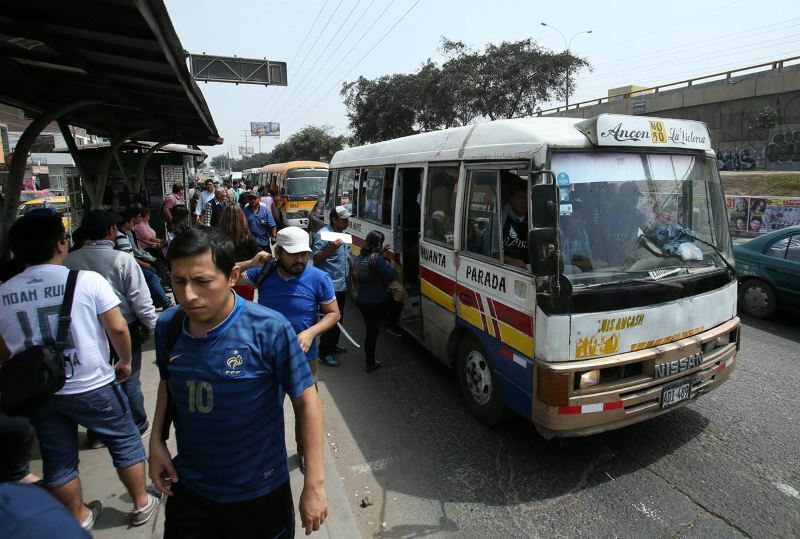 On the whole the strike was largely a failure as Alzamora estimated 75% of Lima’s private bus companies worked their routes as usual, as opposed to the 90% observance rate forecasted by local media yesterday. Alzamora added that even the strike organizers’ and trade group leaders’ buses were seen on their routes. 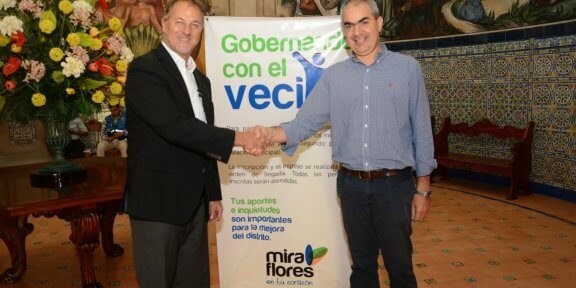 The industry’s failed effort to prevent the implementation of the Blue Corridor bus system comes in the midst of a public battle between finance minister Alonso Segura ad Lima mayor Luis Castañeda. 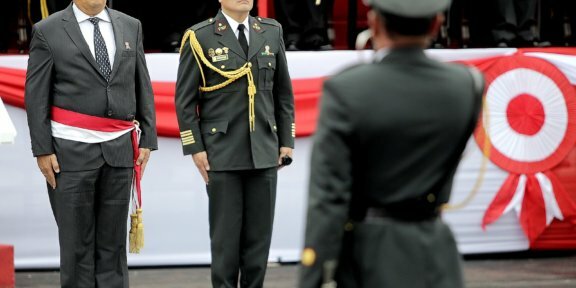 Segura declared three key contracts in the transport reform void because they did not have his ministry’s approval for financial sustainability. 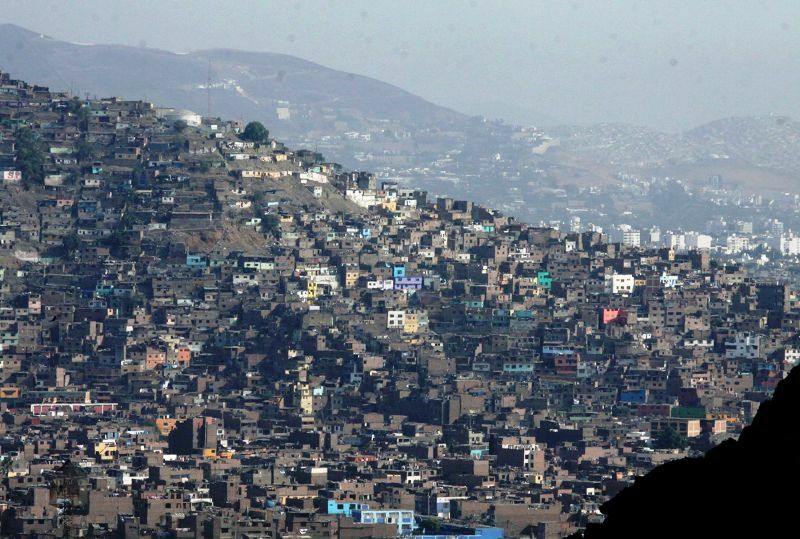 To add another blow to the bus companies’ resistance, Segura publicly accepted an invitation from Castañeda today to discuss the impasse and proceed with public transportation reform in Lima.